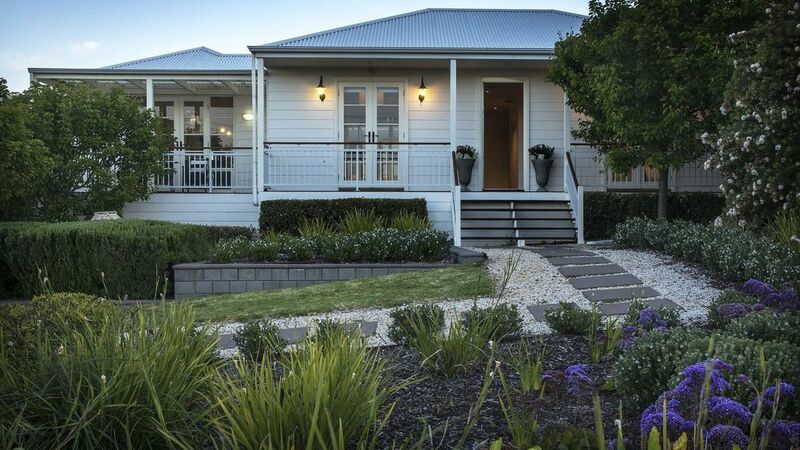 Centrally located in the heart of historic Port Elliot just over an hour south of Adelaide, this charming property offers the combination of premium creature comforts and pure perfection in interior style. Whether you're seeking a romantic getaway holiday or planning a celebration, The Summer House provides a luxurious retreat, a true escape. Encompassing three bedrooms and two bathrooms, The Summer House is the perfect Port Elliot accommodation for a get away with friends or family - the ultimate retreat. The heart of the home features European kitchen appliances and a magnificent marble island bench opening onto an enormous deck made from spotted gum. The deck provides a protected entertainment area ideal for meals or an afternoon drink. The house is well designed with great interior decoration. Bedrooms have lots of room and comfortable beds.The 2 bathrooms are well equipped and good if there are a few people. We enjoyed the twin shower and spa bath. The central conservatory with table and chairs and BBQ is a great idea and we used a lot - sheltered from winds and hot sun - a fantastic space. The kitchen is also well planned with all we needed to prepare meals. The one suggestion I would make is to check out the saucepans, lids don't match some saucepans. We did manage to use the oven, it was good to have the instructions. The only other thing is I'm still waiting to be reimbursed for the $250 deposit. Thank you for your kind review and I am pleased you enjoyed your stay at The Summer House. The refund of the security bond will come 7 days after your departure. I will review the saucepans and lids in a few weeks. The house is situated very close to the centre of Port Elliot, the railway station, and a very short walk to Knight's beach, clifftop path and only 10 minutes stroll to Horseshoe Bay. The house itself is a perfect holiday home. The rooms are all very spacious, clean, well appointed and most of all homely and welcoming. Lovely "Hamptons" style interior design.The outdoor patio / undercover seating area in the middle of the house is great for meals with a larger group, and a very sociable focal point for the house. Our host Paul was very easy to contact and answered some very minor queries quickly and efficiently. We would love to have stayed longer that 2 nights, but still very worthwhile. The Summer House is beautifully decorated and the welcome package was wonderful. It is ideally located near to the charming shops and the beach. We had a delightful stay in Port Elliot. Thanks for your lovely feedback, Janine! Thank you for your lovely feedback, Jane. I'm so glad you all had a happy anniversary stay. This is an excellent property that is well positioned, well furnished and in excellent condition. This is our second time taking this property, and it was better than the first. Beautiful property, in excellent condition, in a great location, what more could you want. Thank you, Ian. I appreciate the feedback and I hope we see you again. Best wishes, Tracy. Thank you, Emma. It was a pleasure to help you offer the lovely gift of a stay at The Summer House to your parents. I'm so glad to hear they enjoyed their stay.